Andrew Sniderman and Jens Trier Rasmussen are program managers for Lync. The Lync team wants your users to be delighted about the quality of every Lync call they make. We built the new Call Quality Methodology (CQM) scorecard to help you reach this goal. The CQM scorecard was released in the June update of the Lync Network Guide. The Call Quality Methodology is described in Appendix C of the guide. The scorecard is an Excel spreadsheet that loads all the CQM query results and creates a number of views that will help you analyze and fix call quality problems in your Lync implementation. Included in the Network Guide download is a powershell script (CQM.ps1) that automates the execution and collection of the SQL queries discussed in the Network Guide. When you point the scorecard at your data, it will generate a bunch of views so you can get a handle on the distribution of audio streams in your environment, which ones are showing a high percentage of poor streams and how they are trending over time. The scorecard view then presents all this in a summary table that correlates with the ten elements of CQM just as you see in the CQM poster. The areas are grouped by Red (Server Plant), Blue (Last Mile) and Green (Endpoints). A final area is classified as Unmanaged at the bottom which shows all external streams (media streams originating on the internet and coming into Lync via Edge servers). First we’ll talk about the supporting views and then the Scorecard view to determine how to make improvements. 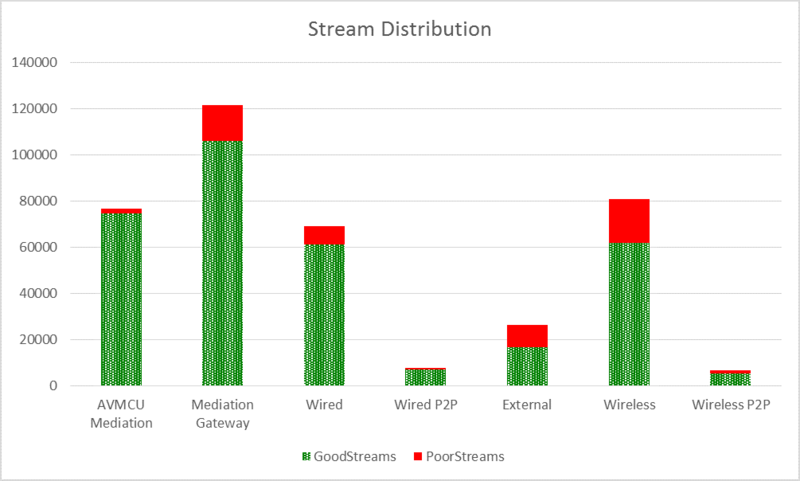 The Stream Distribution view shows you the types of audio streams used most in your environment, along with the proportion of those streams that are poor. You can also look at trends for each type of stream. The image below, for example, shows a view of the trends for the Mediation to Gateway stream. These views show you where the hot spots are in your environment. The Scorecard view shows you what you can do with these hot spots across ten categories to improve your call quality. The Scorecard view correlates with the ten elements of CQM and shown visually in the CQM poster. The areas are grouped by Red (Server Plant), Blue (Last Mile) and Green (Endpoints). You can customize the thresholds for each element in the scorecard. If scorecard item is Red or Yellow, check the associated set of actions suggested in the last column. In this devices example, you should look in the TopIssues view to see the worst devices in your environment and then check the results of the utility query tab (Util_1_Users_Devices_Streams) to find all the users who have these devices so you can work with them to troubleshoot and potentially replace them. In this example, you can see the 10.98.6.58 gateway is the common element across all of the Mediation Servers. 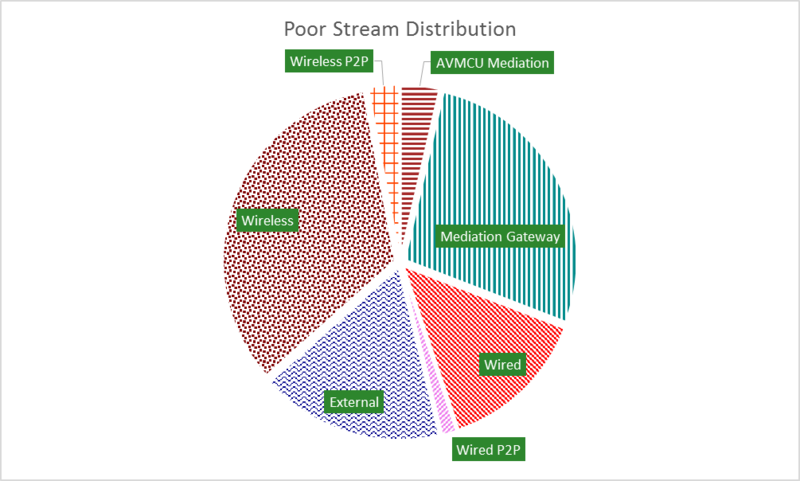 Your next step here is to take a closer look at the gateway configuration and the network devices in common between the mediation servers and this gateway to figure out what could be causing the high percentage of poor streams. The CQM scorecard gives you diagnostic views to prioritize your approach to improving call quality, a scorecard view to track your progress and a top issues view to systematically make improvements. Once you know where your call quality hot spots are, make a plan to improve them and execute to systematically improve your users’ Lync call experience until you get to green across the scorecard. We hope the CQM scorecard helps you make your users happy with their Lync call quality and makes your job easier! Let us know how it’s going. Email us at cqmfeedback@microsoft.com.